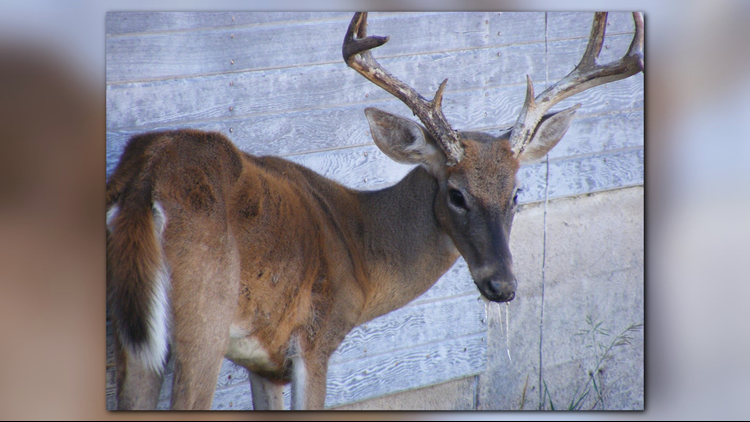 AUSTIN — The Texas Parks and Wildlife Department has confirmed chronic wasting disease in three white-tailed deer in Medina, Dallam, and Hartley Counties, and in three mule deer in Hudspeth, Hartley, and El Paso Counties. The TPWD emphasizes that the discoveries underscore the importance for aggressive detection, sampling and herd management to control the spread of CWD. The affected white-tailed deer in Medina County was harvested by a hunter on a private ranch in the current South-Central CWD Containment Zone, in the vicinity of captive deer breeding facilities where CWD had earlier been confirmed. Two CWD-infected whitetails and one mule deer were also hunter harvested in the Panhandle CWD Containment Zone, and two CWD-infected mule deer were harvested in the Trans-Pecos CWD Containment Zone. Each of the new confirmations occurred in a county where CWD had previously been detected. In 2018, 49 cases of CWD were confirmed in permitted breeder facilities, and 8 cases were confirmed in animals taken outside a breeder facility or related release site. Thus far, with two exceptions, cases of CWD in the South-Central Containment Zone have been limited to deer breeding facilities and attached release sites where the owner breeds white-tailed deer pursuant to permits issued by TPWD. The permitted facilities in Medina County where CWD was confirmed are each operating under herd plans that require ante-mortem testing to detect and remove positive and exposed animals to attempt to reduce the chance of the disease escaping those facilities. In the Trans-Pecos, the affected animals were taken close to the border with New Mexico, a state where CWD had previously been discovered. In the Panhandle, CWD has been confirmed in several mule deer and white-tailed deer; as well as some elk, which are not considered game animals in Texas. The latest CWD confirmations follow a two-day CWD Symposium that was organized and hosted by TPWD, the Texas Animal Health Commission, and the Texas A&M Veterinary Medical Diagnostic Laboratory in early December. Approximately 200 landowners, deer enthusiasts, scientists, and representatives from state fish and wildlife agencies from around the country came together to share data and to discuss best practices to address the spread of CWD. As a recurring theme, presenters stressed the need for states and landowners to take early action to investigate CWD, limit deer movement and to test early. Hunters who harvest mule deer, white-tailed deer, elk, red deer, or sika deer within the Trans-Pecos, Panhandle, and South-Central Texas CWD Containment and Surveillance Zones are REQUIRED to bring their animals to a TPWD check station within 48 hours of harvest. The department also urges hunters who take a deer outside of a CWD containment or surveillance zone to still help out by providing voluntary samples. Hunters and landowners interested in providing voluntary samples can contact their local TPWD biologist or simply bring the animal to any of the department’s check stations located around the state. Those stations can be found at www.tpwd.texas.gov or in TPWD’s Outdoor Annual. Hunters are also encouraged to report any “sick looking” mule deer, white-tailed deer, elk, red deer, or sika deer while hunting in any CWD zone to TPWD. To report a “sick looking” animal, simply contact a TPWD wildlife biologist or Texas game warden. Additional information about CWD, including carcass movement restrictions, and check station locations, can be found online at https://tpwd.texas.gov/huntwild/wild/diseases/cwd/.